I'm petrified of being indoctrinated into what I call The 'Beauty Blogger Cult' aka BBC. I don't want to force myself to like a product that deep down I know I hate. I mean, If you do not like the Pumpkin Spiced Latte or the Magic Foundation you should feel free to say so! Likewise, if you genuinely love them express yourself. On a serious note, I'm finding it increasingly difficult to discern whether people truly love a product or they are just playing up to the hype because of other bloggers. 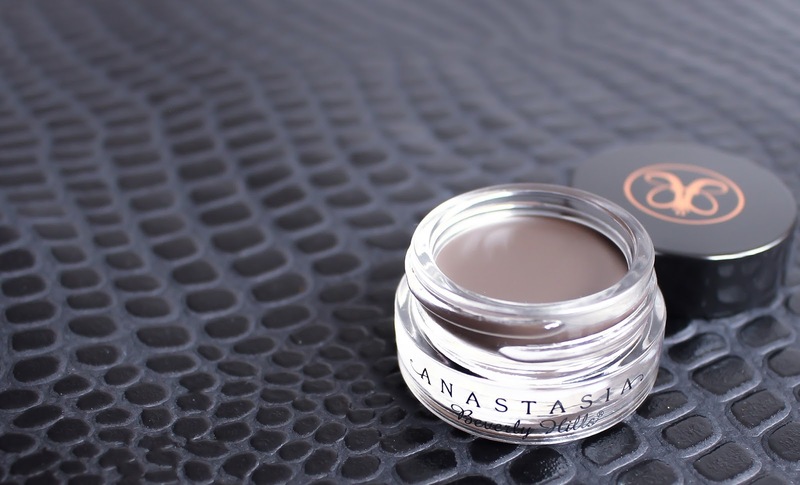 I'm naming the Anastasia Beverly Hills Dipbrow Pomade BBC Culprit No. 1. The reviews of this smudge and water proof pomade are out of this world! I went to America a couple of months ago and I finally persuaded myself to pick it up as it was $18 in Sephora which made it slightly cheaper than it would have been if I bought it in London (RRP £15). The colour range and the amount of product in the pot stand out as the biggest positives to this product in my opinion. I've been using this product everyday since I got back in August and I have hardly made a dent in it! It will probably last me a long time so overall I think it is good value for money. Furthermore, most brow products only seem to be available in Light, Medium and Dark so the fact that there are 11 shades to choose from means you will most likely be able to find one you like. I picked it up in the shade Ebony, in hindsight I probably should have got Dark Brown or Chocolate because Ebony is much darker than it looks in the pot. It requires quite a bit of effort for me to achieve a wearable everyday look with this colour, however if you prefer very dark brows, Ebony or Granite are probably the colours for you. I'm yet to see these in any stores in the UK so you can't really try the colours out. If you want to try this, your best bet is comparing pictures on-line to your existing brow products and getting the one you think matches. You can, however, vary the outcome of the colour on your brows by pressing harder or lighter with an angled brush so you have some leeway if you get a colour that is slightly too dark for you. The pomade works best with an angled brush. I have been using a Sonia Kashuk angled brush alongside two Elf brow brushes that I also bought in America. You need to dip the brush in the product very gently as a little goes a long way. If you press too hard you will probably get quite a bit of build up on the brush making the application process much more difficult. The gel formula glides on quite easily but it is really easy to go overboard with the darker colours. I start of by combing my brows through, I haven't threaded my eyebrows in three months so they are literally all over the place. I then use a heavy hand to create the shape I want and then use light stokes to fill in any sparse bits. Finally, I brush the product through many times in order to get a more natural look as the colour is little too dark for me. It sounds really simple but believe me, this process is time consuming and actually quite tricky to master. If, like me, you have been using pencils to quickly fill in your brows this will be quite a big step up in your makeup routine. After two months use I have nailed the timing to less than eight minutes but when I first started using this it was taking me up to 20 minutes to make this look reasonable! To clean up my brows, I use the MAC Studio Finish Concealer (NC50) or my foundation (Lancôme Teint Idole Ultra 24H) depending on how dramatic I want them to look. I blend it out with my MAC 226/224 brush and then apply my face powder using the Real Techniques Buffing brush (Core collection). Tip* If you touch your brows soon after application, they will smudge! I learnt this the hard way whilst trying to test out the smudge free theory. If this happens you pretty much have to wipe it off and start again. You need to do all the combing and blending of the product before it dries as its really hard to work with after that. Once dry, the product does have good staying power and will come off with a good makeup remover or a few wipes. I don't believe anything is completely smudge proof but if you are not touching your brows you should get a full days wear out of this. Overall, I think this product is ok but I don't love it unconditionally. 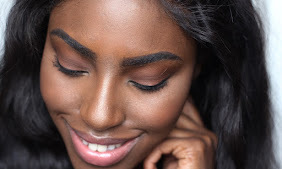 You can probably get similar results with the dupes that have popped up ( NYX Tame & Frame, Maybelline 24H Colour Tattoo), but if you want that sculpted 'eyebrows on fleek' look I would say this is a good place to start. I am, however, going to go back to a pencil for weekday use as I just do not have the time for this in the mornings! I know this post has been quite long, but I wanted to give you a comprehensive view of the product. Everything I have written is my honest opinion and it is such a shame that UK customers have nowhere to try this product out before they buy it. Generally, I think it's really important that you go out and try products for yourself whenever you can! This is why my blog motto is 'Be your own kind of beautiful'. Only you know what works for you and what you like and dislike. Don't be easily swayed. You will save yourself a lot of money trust me!! What are the other BBC culprits? Let me know and I might review them next! First Impressions: Lancôme Miracle Cushion Foundation + Giveaway winner! If you know me, you will know that I am the biggest fan of the LancômeTeint Idole Ultra 24H ! I also love the Teint Miracle Bare Skin foundation for the Summer months but the Teint Idole has always been my go to. I am a bit wary of changing my face products and I do not have an array of different foundations on my dressing table. Once I find something I like I will wear it for a long time... hence the reason I have worn these foundations for over three years! Let’s rewind to my last trip to Boots... I allowed myself to be convinced into trying a new product! The lady at the Lancôme counter said that the Lancôme Miracle Cushion gave the perfect build able fresh faced look and said it would be a perfect foundation for me. She tried a tiny bit on the side of my face, I was won over and I bought it. Now… I am the biggest advocate of going to a makeup counter, trying on a foundation and walking around the store for at least half an hour to see how the foundation holds up after immediate application. Why I failed to do this is actually beyond me! The Miracle Cushion comes in a plastic compact with a lovely polished silver lid synonymous with many other Lancôme products. The foundation is saturated onto a sponge in the compact, it doesn’t leak and I think it’s actually quite a novel idea. Lancôme claim that this foundation is build able coverage which gives you a fresh glow with an unforgettable fresh sensation. I’ve recently read that this 'cushion' idea is from Korea, where these foundations have been around for a while. You get 0.51ounces/14g of product for £29.50 which works out at about 14ml. For the same price you can get 30ml of product in the Teint Miracle Bare Skin Foundation. You can, however buy a refill of the compact for £19.50 . The sponge is quite flimsy and doesn’t allow for any blending, I quickly realised that swiping the sponge across my face resulted in streaks so I went for a pat and press motion in order to apply it. The formula is very wet- feeling and the coverage is not enough to hide my blemishes. I also found that it dried to a semi- matte/satin finish before I could work with it any further, resulting in a slightly blotchy appearance :( It did however, feel very light and it seemed like I didn’t have anything on my face. It also had SPF 23 which is higher than the Teint Idole and Teint Miracle which both have SPF 15. Now, this is still entirely too light for me, which I take full responsibility for, but it is more wearable than I thought when I first applied it. All in all the coverage is quite sheer and it took many presses to get full coverage unlike the Teint Idole Ultra, where I get full coverage with only one pump. I think this foundation is probably best for those with normal to dry skin, although it dries to a semi- matte finish it probably wouldn't be great for those with oily skin because of the wet formula. I don't have particularly oily skin but I found myself applying powder during the day to combat shine. I think the Miracle cushion sponge probably works best for small touch- ups during the day but initial application with a stippling brush or beauty blender will give you more control over your application. Unfortunately, I probably won't be buying this again and I have started using it as a highlighter shade. If you think you might like this foundation I suggest you go and give it a try at the makeup counter and ask for a sample. I think it's great that you can buy a refill for the product but I think the Teint Miracle Bare Skin foundation is better value for money as you get a real dewy finish with much more product without having to apply as much. The colour range in Teint Miracle line is also much more diverse meaning you are more likely to find a true match. Congratulations to Rajshree from Chic Peachy Pink ! Make sure you check her blog out guys!! I will get in contact with you in the next few days to send you your MAC MSF in Global Glow . * I used a random picker website to select the winner... Thank you all for commenting and entering!! More giveaways to come soon!! I will admit, I don't really like wearing eye makeup because I don't know how to! Eye- shadow is just too complicated and my hands are too shaky for perfect liner. I know... what kind of "beauty blogger" doesn't know how to apply eye shadow?! I do, however manage to wear mascara from time to time when I am wearing contact lenses. I think mascara is a very personal choice, everyone's eye shape and lash length varies dramatically so your mascara needs will differ from mine. Personally, I am often looking for a mascara that is blacker than black and will offer great lift and the illusion of thick lashes. I'm really impressed with the brand Florence at MDM Flow has created, all her lipsticks are hand made and cruelty free and she has done a great job at marketing her products as a high end brand to be reckoned with. How beautiful is the packaging of this mascara! It reminds me of the YSL Touche Eclat, the finish is polished, sleek and luxurious. Claims: The most intense, highly pigmented XXL black, volumising mascara. According to MDM Flow you have to shake the mascara for 10 seconds and then pump it a minimum of 10 times to get a thick layered brush. This is a little different from other mascaras but as I only wear mascara when going out it's not too much hassle for me. I'm not going to try and write something about the formula because I don't know enough to make any conclusions however the brush is really firm and really grips on to my lashes yet still manages to apply smoothly. I have the most uncooperative lashes and normally have to apply 2-3 coats for them to look semi-decent. I applied the mascara without curling or combing through my lashes. I wore this for a day when I went to America. It was 30 degrees and it didn't smudge or move around at all! I like the way it makes my eyes look, I think the mascara gave me good length.. what do you guys think about the volume? Overall, I like this mascara, the colour pay off is good and it definitely lengthened my lashes. I'm going to make an effort to move my mascara past 'occasional' use and not just let this sit looking pretty on my dresser. There are a few reviews on YouTube about this mascara, mainly from people in America who received the mascara in their Boxycharm box. Many people are commenting on how ludicrously expensive the product is and how it needs to be activated in order to be applied. I normally don't like watching or reading other reviews because I want my opinion to be as unbiased as possible but I felt like I needed to comment on the things people are saying. For a high end product, I think the price is reasonable. Some drugstore mascaras can be as much as £13-14 and if we take into consideration the luxurious packaging and the fact that this is a one woman brand I think the price point is more than acceptable. I think we need to be supportive of new independent brands and consider the passion and costs that go in to making such products. Yes, I know, there are many cheaper mascaras out there that do the same job, the NYX Brow pomade does the same thing as the Anastasia Beverly Hills brow pomade but how many of us have still bought the more expensive Anastasia one??! Have you tried any other MDM Flow products? ?